Have you ever sensed the Lord telling you to do something, and you hesitated or did not do it at all? You are in good company. Moses was more than hesitant to do what God told him to do. More than anything, he was anxious about his ability to speak. Yet God told him he would teach him what to say and would enable him to speak. 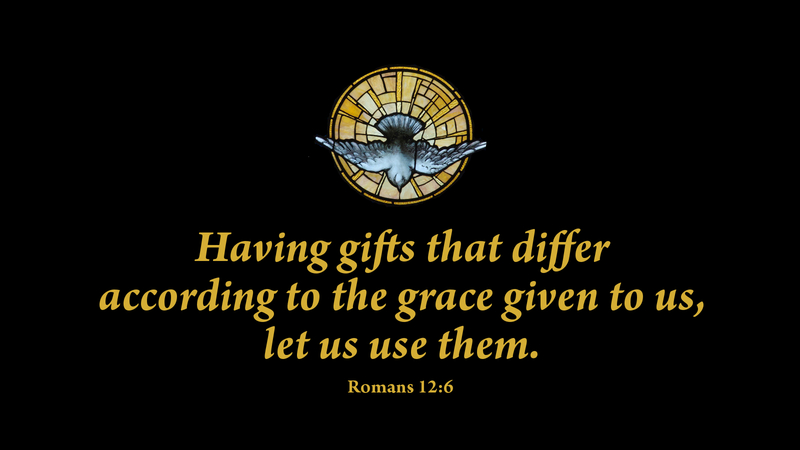 Each of us has been gifted by the Spirit. We are to use our gifts, whether we think we are able or not. God’s own Spirit is in the gift. He will empower each of us, “according to the grace given to us.” We are gifted, not so as to receive glory, but to bring glory to the Father. For even Jesus, who was with the Father and the Holy Spirit in the beginning, did not seek glory for himself. Rather, he was an obedient Son who brought glory to God. May we also be obedient children of God, using the gifts he has given us, and offering ourselves as living sacrifices in proportion to our faith. Prayer: Give me the courage of Moses, Lord, that I may use the gift you have given me through the power of your Holy Spirit. Amen.